OCS and Clay Athletics announces a new service for fans of the Eagles. You now have the ability to purchase tickets ahead of time using this new service. The directions are outlined below. Thanks and Go Eagles! AVOID THE FRIDAY NIGHT LINES! • The link will open a new page – the event listing page for the school’s event on Eventbrite. • Select “TICKETS” followed by the appropriate option. • After selecting your ticket or pass, you will select “CHECKOUT”. How do I get my tickets/pass? • You can print them via the PDF that is emailed. • You can save the PDF for printing later. • Your tickets will be available via the Eventbrite App on your smart phone. • Go to the app store on your smart phone or tablet. 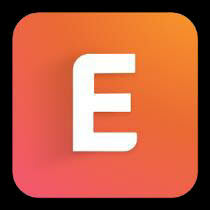 Search the Eventbrite app. Come Cheer on the Eagles! !